On the 23rd of January, Emirates – world’s largest long-haul airline – announced its newest Dubai-Newark route with a stop in Athens, Greece. This development triggered an immediate response from US airlines that blame the Dubai-based carrier of unfair competition due to state subsidies. The Dubai-Athens-Newark route, along with the already operated Dubai-Milan-New York route is what is called a “fifth freedom” flight. This means that the carrier is granted permission to carry revenue traffic between foreign countries as part of services connecting the carrier’s home country. 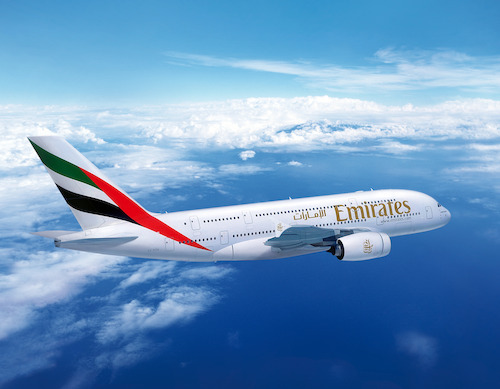 Emirates plans on starting Dubai-Athens-Newark flights on the 12th of March. According to Open & Fair Skies, a lobby group representing many US airlines, Emirates is breaching the air services agreement that makes it possible for the company to operate US-bound routes. US carriers have accused the big three Middle Eastern airlines – Etihad, Qatar and Emirates – of benefiting from subsidies that their US counterparts see as unfair. However, according to aviation analyst Will Horton quoted by Reuters, American carriers lack arguments for protesting the new route, as none of them fly to Greece all year round. Another counter-argument would be the fact that Emirates is a major Boeing operator, which goes against the claims that Emirates is negatively affecting US jobs.